Meditation and CBT (Cognitive Behavioural Therapy) are two highly popular exercises among the spiritually awakened and the scientifically educated. Good news is this: When you combine meditation with CBT you get some seriously mind-blowing effects. We’ll get to that inn a second. First, let’s look at what CBT and meditation are, and why if you’re into mental fitness, you seriously need to start doing both. Both meditation and CBT are ways of training the mind. With meditation and CBT we train the mind to be more relaxed, more productive, more balanced, and just plain old healthier. Meditation and CBT are both excellent ways of achieving (and maintaining) mental fitness. And yet, in many ways, they are opposite. Meditation is the practice of focusing the mind (often by sitting with crossed legs and focusing on the breath). This is done to silence thoughts and to live in the moment (read: 31 meditations to try). Meditation is usually done with a meditation teacher. Cognitive behavioural therapy is a way of challenging and changing our thoughts. It is a series of thinking exercises. CBT is often done in counselling sessions with a cognitive behavioural therapist. So, as you can see, the two practices are basically opposite approaches to the same thing. While most meditation techniques involved silencing thoughts, CBT involves listening to thoughts and changing them. Because there massive benefits of CBT and meditation. Meditation and CBT are alternative (and in some ways opposite) forms of achieving the same thing. So, how to meditation and CBT work together? What happens when you combine CBT with meditation? I’m totally stunned by the results of doing CBT with meditation. I’ve been merging CBT and meditation for a few months now in my own practice, and it has made a world of difference. CBT solves so many of the problems of meditation. And meditation solves so many of the problems of CBT. Meditation is definitely a hugely beneficial practice. It relaxes the mind, silences our thoughts, and helps us to live in the moment. There is one problem with most meditation techniques. Most meditation don’t actively change your thoughts, they just make your thoughts less impactful, so your negative thoughts have less of an effect. (I say most meditations because, of the more than 700 meditation techniques in existence, some do help with thoughts, but the most popular techniques, such as mindful breathing, are really about silencing thoughts and relaxing the mind). When you meditate you become more relaxed, but sooner or later your old thoughts will come creeping back up on you unless you change them. Cognitive Behavioral Therapy actually changes those thoughts. So that’s why CBT helps meditation. Now let’s look at the ways meditation helps with CBT. Cognitive Behavioural Therapy is a way of recognising and changing negative thoughts. There are many different CBT exercises (take a look at these on PositivePsychologyProgram). Those exercises are all ways of recognising, challenging, and changing your thoughts. 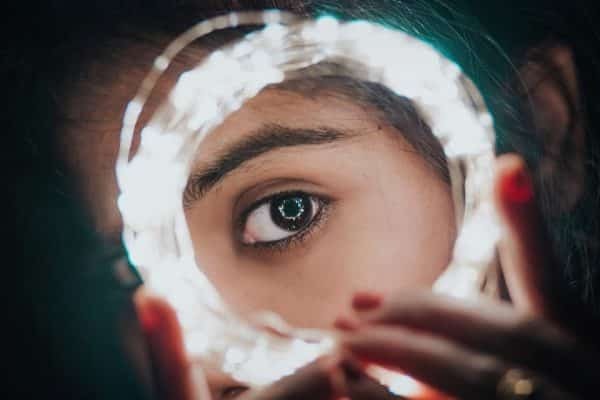 For instance, one CBT exercise involves recognising when you are thinking negatively about yourself, and then thinking of yourself in more positive ways. CBT works. That’s been scientifically proven. There’s just one problem. In order for CBT to work effectively you have to be able to identify your thoughts while they are going through your head. Some thoughts last only a few tenths of a second. Being able to recognise those thoughts, identify them, and change them is hard. Traditional CBT makes up for this by using a counsellor. You talk your problems through with the CBT psychotherapist, they identify the negative thought patterns for you and make notes. In other words, you don’t have to identify your own thoughts. And in my case, I’m actually more interested in training my mind with CBT and meditation and not for a specific health problem. It’s an exercise I do for me to keep my mind fit. No doctors needed. Doing CBT unaided is massively beneficial, but it’s not easy because you have to be highly aware of your thoughts. Most people simply do not have that level of insight and awareness. You know the saying, “Blink and you miss it?” That’s definitely true for thoughts. To catch your negative thoughts, you have to be aware. This is where meditation helps CBT. Meditation boosts our awareness so that we are actually able to spot the thoughts that need to change. Doing CBT without a psychotherapist is difficult because thoughts occur so quickly they can be hard to catch. When we meditate we slow the mind and boost awareness so we can identify our thoughts (and then change them). When we combine CBT with meditation we slow the mind, become aware of our thoughts, and can then change our thoughts. What I’m about to say is through my own experience in my own meditation practice; and is not scientifically proven. And while what follows is great news for most people, if you have a serious health condition you should seek professional help. 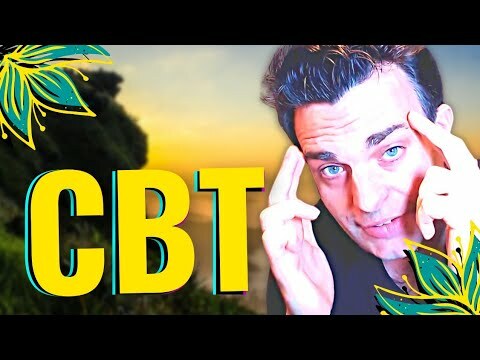 I have personally been combining CBT with meditation for many months now. It’s been fantastic. In fact, it has changed my life in ways I thought would never change. Get started with my 15 mindfulness-based CBT exercises. Those exercises will help to reduce stress, anxiety and negative thoughts. However, there are also may more ways to practice CBT. I’ve discussed all my favorite CBT-style exercises in this Youtube video. So that’s the CBT part taken care of. What about the meditation part? Well, that’s easy. If you already have a meditation practice, it will already be helping you with CBT. If your meditation relaxes you, slows your mind, and raises your consciousness, it will automatically help you to perform CBT more effectively. Here’s some tips on how to get even more out of meditation when adding CBT to the mix. We use CBT to change thoughts. However, if you have too many thoughts in your mind, and they are all happening too quickly, you won’t be able to pinpoint any one specific thought to change. The solution to this is to start thinking less. That way you will be able to spot individual thoughts and change them accordingly. Get started on this now: Read my guide to thinking less. To be successful with cognitive behavioural therapy, you need to be aware of what’s happening in your own mind. That can be a challenge. And it’s another reason why meditation plus CBT works so well. By meditating we can increase our insight so we are aware of the workings of the mind. We then see what’s happening within, and once we see our thoughts we can change them. To become more aware of your thoughts (and thereby start changing them) use Vipassana technique [TUTORIIAL]. In my personal experience, when you do CBT and meditation at the same time, you get fantastic results. You get the relaxed and slow mind that meditation gives, plus the healthier thoughts that CBT produces. I’ve tried both meditation and CBT by themselves. Done individually, both techniques were somewhat helpful. Done together, CBT and meditation are 10 times more powerful. If you have a serious health concern, both meditation and CBT should be one with a professional therapist / meditation teacher. For many people, however, self help done through a combination of meditation and CBT will yield excellent results. I know it has for more.